What Are the Properties of Protons? Protons are subatomic particles that, along with neutrons, comprise the nucleus or central portion of an atom. The rest of the atom consists of electrons that orbit the nucleus, much as Earth orbits the sun. Protons can also exist outside an atom, in the atmosphere or in space. In 1920, the physicist Earnest Rutherford experimentally confirmed the existence of the proton, and named it. Protons have slightly less mass than the neutrons in the nucleus, but they are 1,836 times more massive than electrons. The actual mass of the proton is 1.6726 x 10^-27 kilograms, which is a very small mass indeed. The symbol "^-" represents a negative exponent. This number is a decimal point followed by 26 zeros, then the number 16726. In terms of electrical charge, the proton is positive. Not being a basic particle, the proton is actually made of three smaller particles called quarks. The protons inside an atom's nucleus help bind the nucleus together. They also attract the negatively charged electrons, and keep them in orbit around the nucleus. 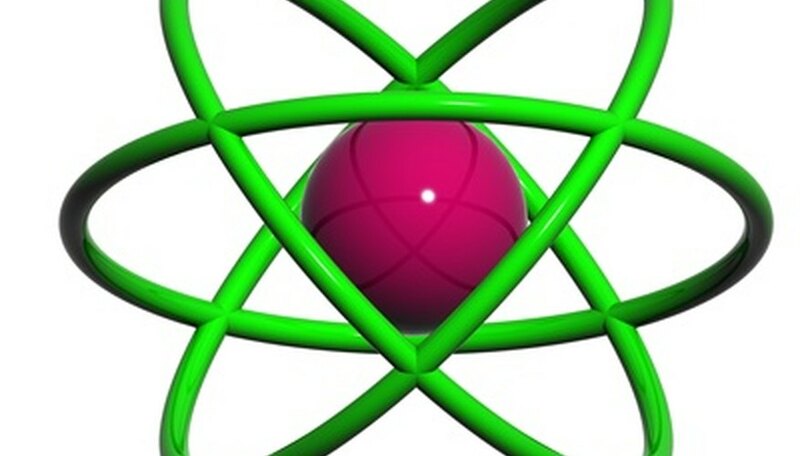 The number of protons in an atom's nucleus determines which chemical element it is. That number is known as the atomic number; it is frequently denoted with a capital "Z." In large particle accelerators, physicists accelerate protons to very high speeds and force them to collide. This creates cascades of other particles, whose paths physicists then study. The CERN particle physics laboratory in Switzerland collides protons to study their inner structure, using an accelerator called the Large Hadron Collider (LHC). These particles are confined by powerful magnets that keep them moving in a 27-kilometer ring before they collide. Similar experiments aim to recreate, on a small scale, the forms of matter in existence moments after the Big Bang. Inside the sun and all other stars, protons combine with other protons by means of nuclear fusion. This fusion requires a temperature of approximately 1 million degrees Celsius. This high temperature causes two lighter particles to fuse into a third particle. The mass of the created particle is less than that of the two initial particles combined. Albert Einstein discovered in 1905 that matter and energy can be converted from one form to another. This explains how the missing mass lost in the fusion process appears as energy that the star emits. Thus, the fusion of protons powers stars. Hirsch, William. "What Are the Properties of Protons?" Sciencing, https://sciencing.com/properties-protons-6818438.html. 25 April 2017.